Is there an easy way of adding an unpaid lunch? 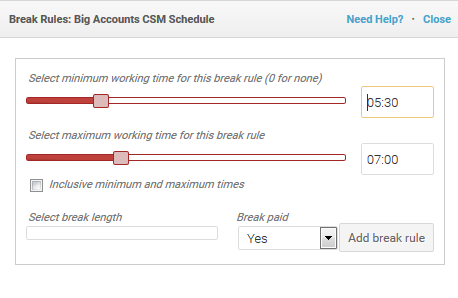 Humanity allows for custom rules to be set for breaks on shifts. These rules can be set differently for each individual schedule and with different time parameters. Go to the tab Staff > Locations & Positions > Create Break Rules.